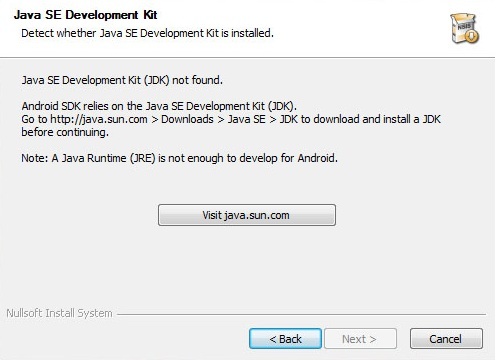 When installing the android sdk you may get an error stating that the Java development kit could not be found. If you get this error and you have the JDK installed just click the back button and click next again. The JDK will be found this time. It appears there is a bug in the installer. This entry was posted in Development on 23/08/2011 by Paul. Thanks alot. solved my problem.